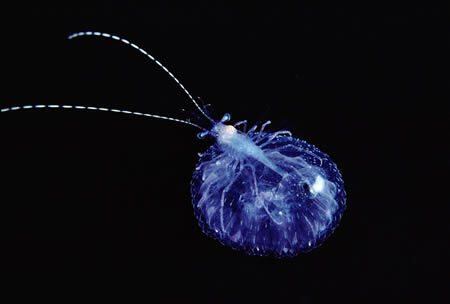 Today’s topic – Transparent Animal. 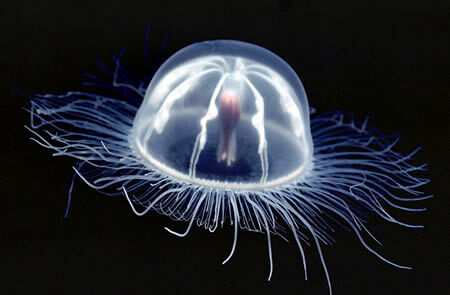 Some of them we are familiar with, like Jellyfish. While some of them, are really weird to me, like the “Glass Frog” “Spookfish”. 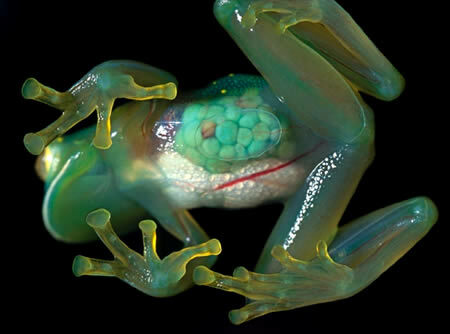 Glass frog (or Glassfrogs) is the common/popular name for the frogs of the amphibian family Centrolenidae (order Anura). The abdominal skin of some members of this family is transparent. 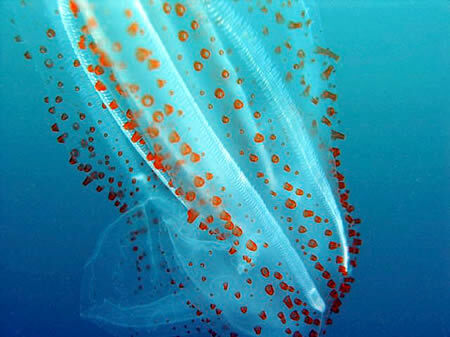 The internal viscera, including the heart, liver, and digestive tract are visible through this translucent skin. 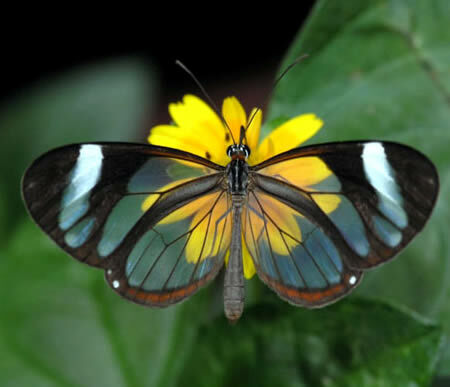 Greta oto is a brush-footed butterfly, and is a member of the clearwing clade; its wings are translucent. Indeed, the tissue between the veins of its wings looks like glass, as it lacks the coloured scales found in other butterflies. It is one of the more abundant clearwing species in its home range, which is found in the Amazon Rainforest (South America) The opaque borders of its wings are dark brown sometimes tinted with red or orange, and its body is dark in color. The crocodile icefishes or white-blooded fishes (Channichthyidae) are a family of perciform fish found in the cold waters around Antarctica and southern South America. Their blood is transparent because they have no hemoglobin and/or only defunct erythrocytes. Their metabolism relies only on the oxygen dissolved in the liquid blood, which is believed to be absorbed directly through the skin from the water. 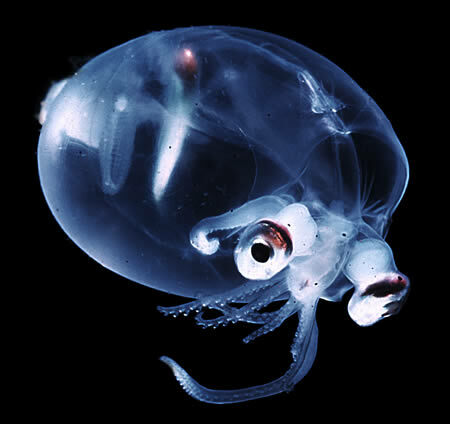 Deep-sea glass squid(Teuthowenia pellucida) The glass squid, Teuthowenia pellucida, an ecologically important Southern Hemisphere deep-sea squid. 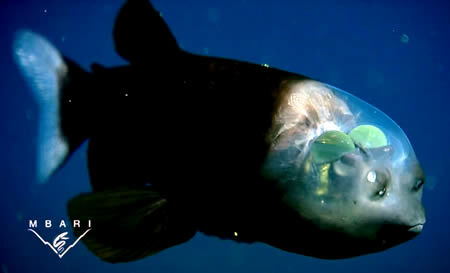 This species has light organs on its eyes and possesses the ability to roll into a ball, like an aquatic hedgehog. 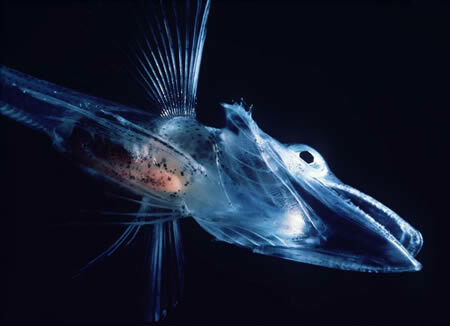 It is prey of many deep-sea fish (eg goblin sharks) as well as whales and oceanic seabirds. 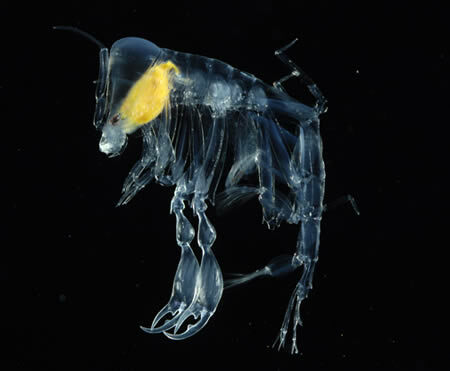 Phronima, the pram bug amphipod, is a small, translucent deep sea hyperiid amphipod of the family Phronimidae. It resembles a shrimp with a head, eyes, jaws and clawed arms.